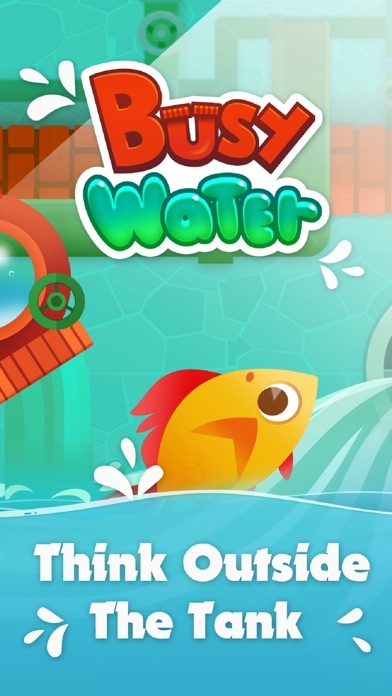 Winner of the Best Educational App of the Year Award #BETT 2017 - Busy Water is a critical thinking puzzle game based on amazing water physics. 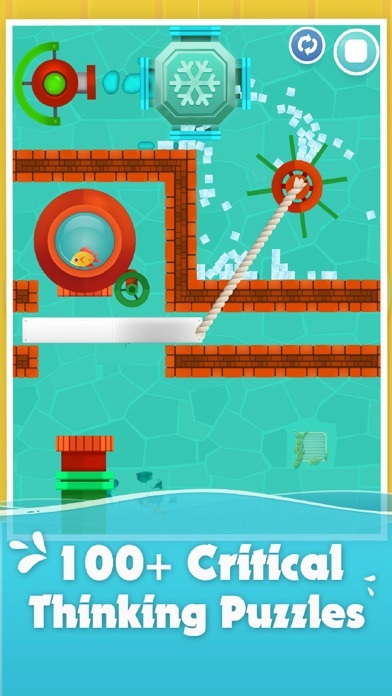 The objective: use pipes, spray, paddle wheels and blocks to help Archie the fish get back to his tank. Each level has multiple solutions developing creativity as well as logic and reasoning. #Thinkoutsidethetank ! 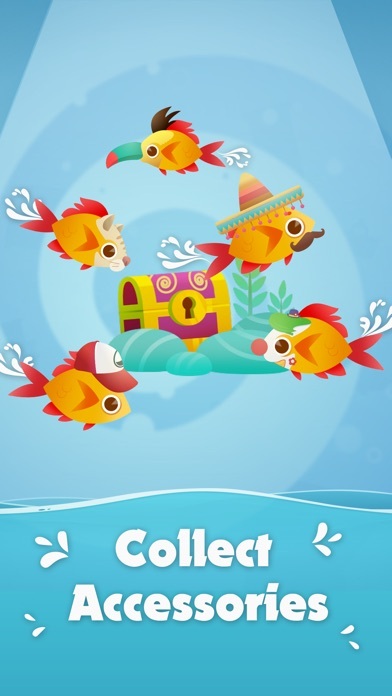 Features: -	Brought to you by the creators of Busy Shapes & Crazy Gears -	100+ challenging levels with multiple pathways -	A unique “Build Mode” to create an endless possibility of levels to be shared with your friends. -	Discover a dozen different tools to freeze, heat, jet stream water as you progress through the game. - Unlock fun accessories (hats & masks) to customize Archie with points earned in each level. -	Apple Watch & Apple TV extensions that sync with the iOS app AGE: 6-10 years old (bet older kids and adults will love to play with it too!) 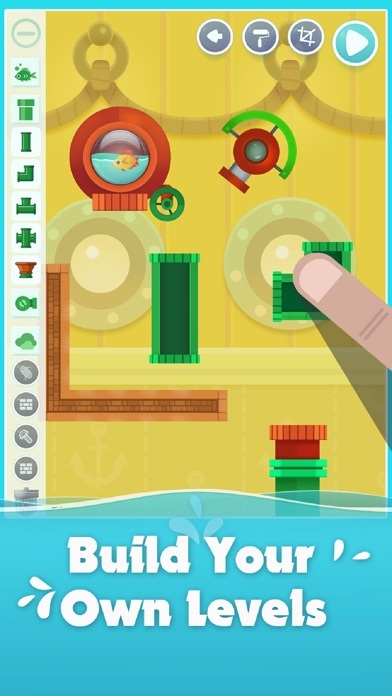 ABOUT BUSY WATER Busy Water encourages children to transfer, control and engineer water in every level of the game. Each level provides new and exciting challenges to develop problem-solving skills. 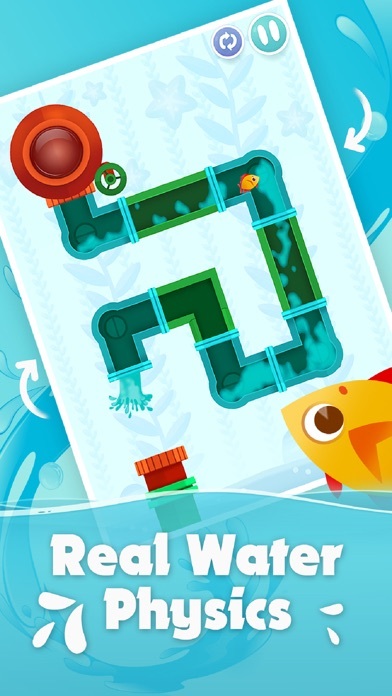 Children can also create their own levels using the Build Mode and become “outside the tank” water engineers. Their creativity will become boundless as the sea and they will feel super proud when they successfully bring the fish back home safely! STEM FEATURES: - Understanding cause & effect - Building cognitive agility & reasoning skill set - Exploring physics & different states of water - Learning to problem solve in a controlled environment - Encouraging the growth of creative engineering - Promoting the refinement of fine motor​ skills and MUCH MORE! ABOUT US Edoki Academy’s mission is to provide children with enjoyable early-learning activities using the latest technologies. Our team members, many of whom are young parents or teachers, strive to produce tools that motivate and inspire children to learn, play, and progress. PRIVACY We take your child’s privacy very seriously, for this reason, we are proud to offer a product that is certified COPPA compliant by PRIVO. CONNECT WITH US! If you have any support requests, comments, or questions do not hesitate to contact us at support@edokiacademy.com or visit the Edoki Academy Online Community at edokiacademy.com. We’d love to hear from you! My 4 year old son is madly in love with this app. It is great conceptually and a perfect challenge for him. However the app freezes over and over and over again. He will be mostly to his goal, and then he cannot move the pipe pieces anymore. They are stuck, frozen, and he has to restart the level. This is frustrating him and thus making all of us miserable. I had to take the app off the tablet. It was that bad. It is possible part of the issue is with the 2 options of spinning the pipes, e.g. tapping or manually spinning them. He prefers spinning to tapping (makes intuitive sense). But his pieces freeze more than if I play and use tapping to spin and adjust the pieces. We really want to love this. I hope it can be made less glitchy so we can use it again. Thanks! So much fun! This app is amazing for kids and really gets them thinking! I love how they can build their own levels and share them with their friends. I've started to use it as a reward for when they finish their homework. It's great because their reward is more learning! I absolutely love this App and so do my children. It really makes my kids think critically and practice their problem-solving skills. More than that, they can even build their own levels and become videogame designers! Highly recommend! Is there a website where we can share the levels we created?